Sick of your pine tree or palm tree? Arrange with Sydney Tree Removals to come out to the Zetland so we can calculate your pine tree removal cost, or palm tree removal cost. We provide free tree removal quotes for those who have council tree removal permit approval or council tree pruning permit approval. 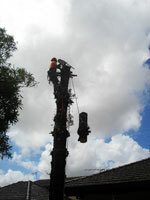 For your tree services throughout the Zetland contact Sydney Tree Removals to have your trees removed safely! 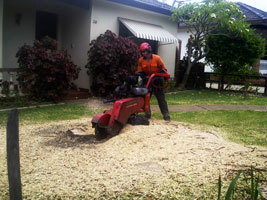 Tree stumps can be difficult to remove and that is why we offer a tree stump grinding service for the Zetland of Sydney. If there are electrical, water, gas, or other services running near your tree stump using a stump grinder may not be the most suitable option. We also remove stumps manually, or through a chemical treatment. Our staff at Sydney Tree Removals are happy to help you with your local council tree removal applications, sometimes we assist in the understanding of the tree preservation orders applicable to Zetland. We will provide general arbor advice and help you formulate a plan for whatever you arbor situation is. 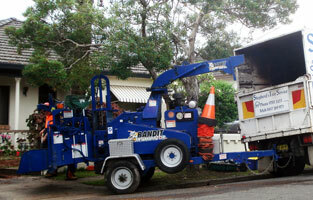 We offer more than tree removal in Zetland, we also offer a variety of palm and tree pruning. Some common tree pruning works include crown thinning, selective pruning, dead wooding, crown lifting, remedial pruning, formative pruning, palm pruning and clearance from transmission and power lines.